No more waiting! 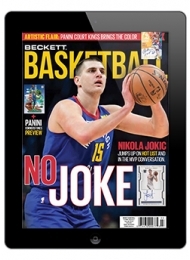 Instant access to all the latest issues. Safely store all past issues purchased. Get your favorite subscription with a single tap. Universal access across all devices. Easy to use anytime anywhere. 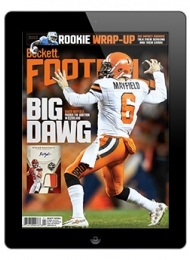 Digital copy of the print edition. 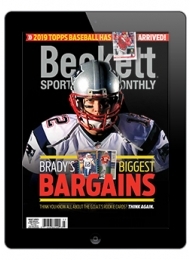 Beckett Baseball is a monthly collectibles publication that comes loaded with current pricing on recent trading card releases, popular sets from the past, and timely coverage of the latest baseball-related collecting trends. 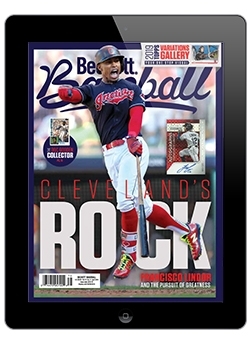 Passionate readers use this magazine to find out what their cards are worth, which players to sell, whose Rookie Cards to watch, and what new products are hitting the market. For longtime and novice collectors alike, Beckett Baseball is a must-have resource to stay informed and aware of the contemporary baseball card market.